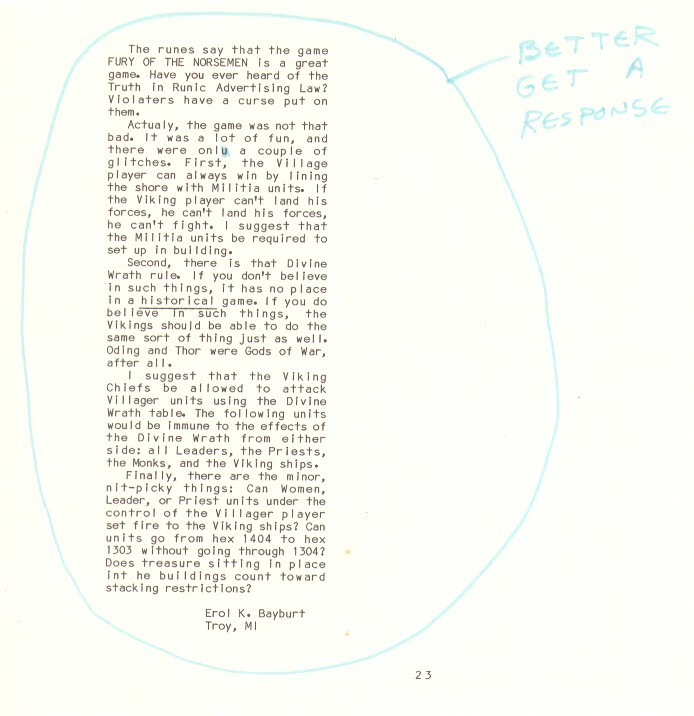 The Classic microgames (those published before 1987) are long out of print, but enthusiasts across the globe continue to dig up interesting literature and documentation regarding these games. 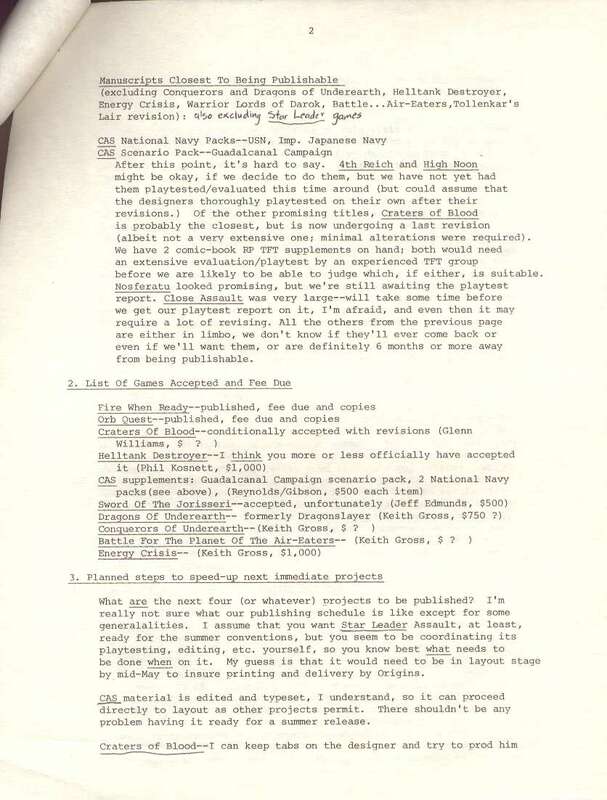 If you have letters, prototypes, or other documentation you would like to post in the Archives, please contact the Webmaster. 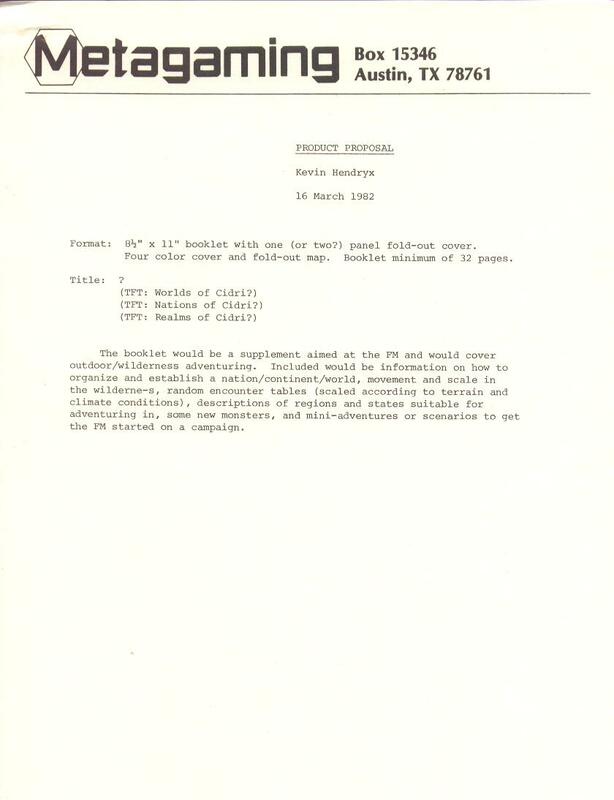 For your browsing convenience, some of the larger images in the Archives include a text only link allowing you to view small, fast loading ASCII text files. 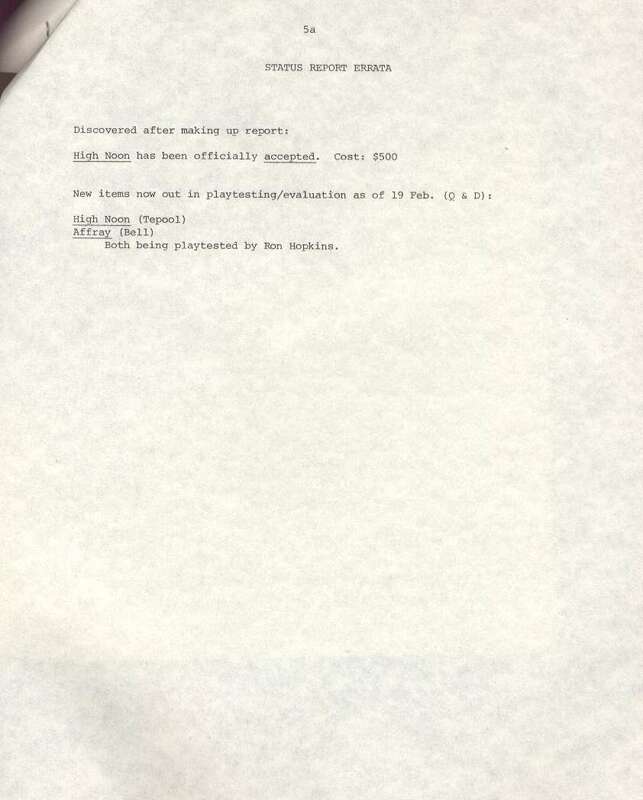 More text files will be added as time allows. Use the "Back" button on your browser to return from the links on this page. 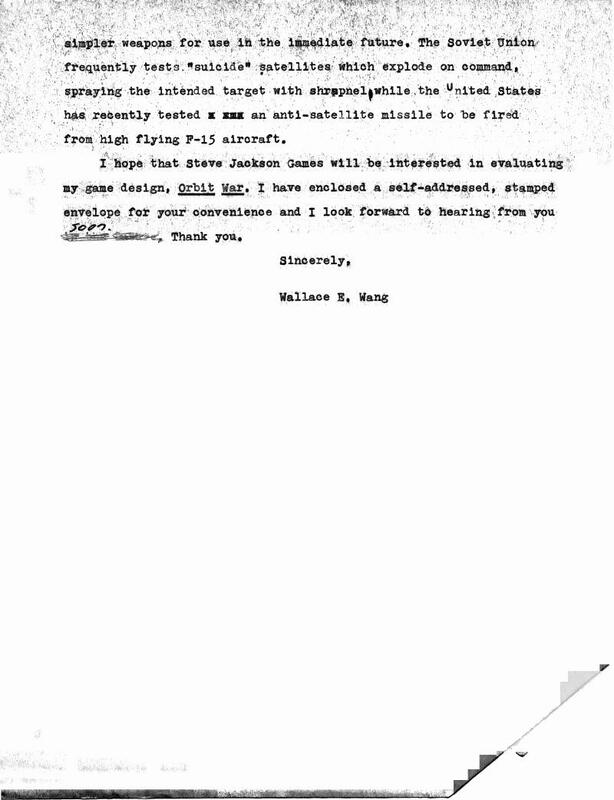 Andy Windes ( awindes@anv.net) received this in response to a letter he sent regarding The Fantasy Trip. 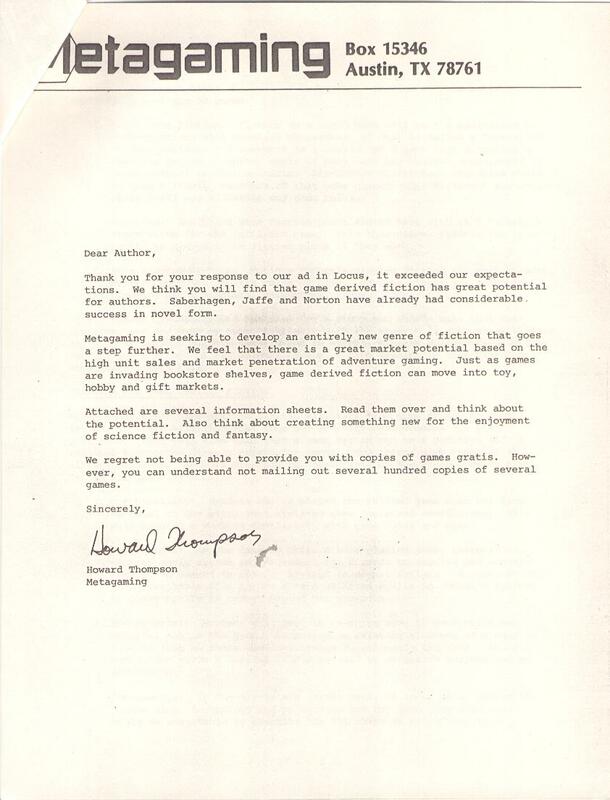 Howard has some interesting comments on TFT and D&D! Dated March 31, 1980. 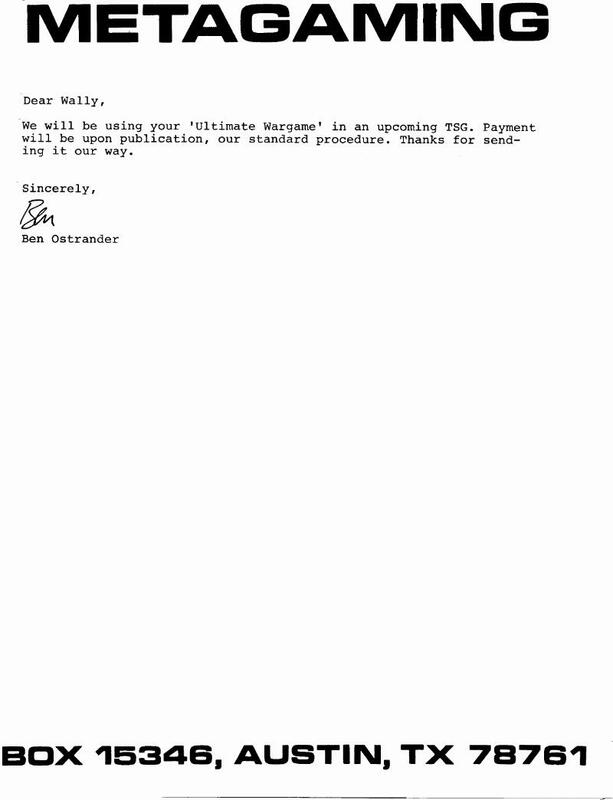 Andy welcomes any comments you might have regarding this letter. 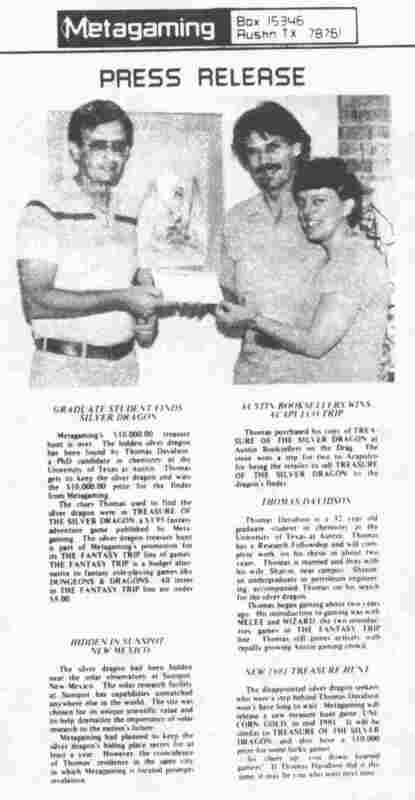 A Metagaming press release showing Howard Thompson handing over the $10,000 prize check to silver dragon finder Thomas Davidson. Scan courtesy of Walt O'Hara. 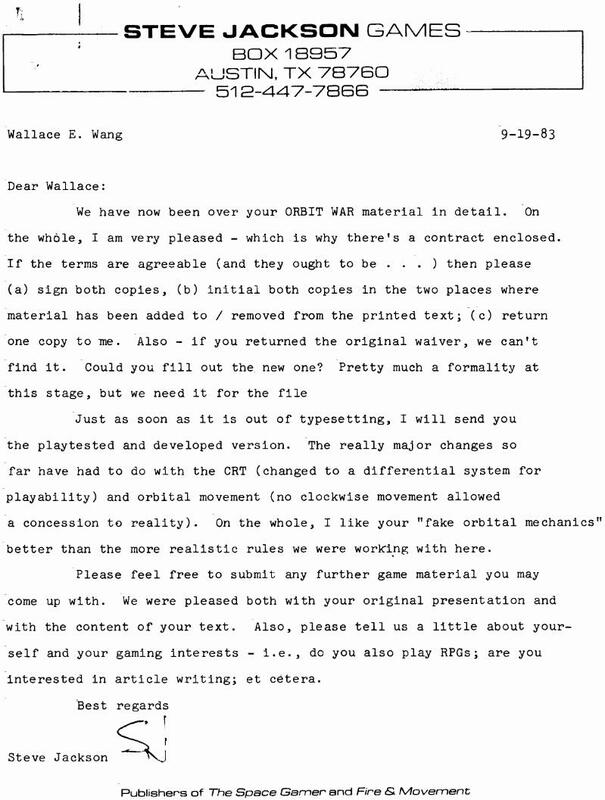 Wally Wang (bothecat@home.com) received this in response to a satirical wargame article ("Ultimate Wargame") he submitted to The Space Gamer. 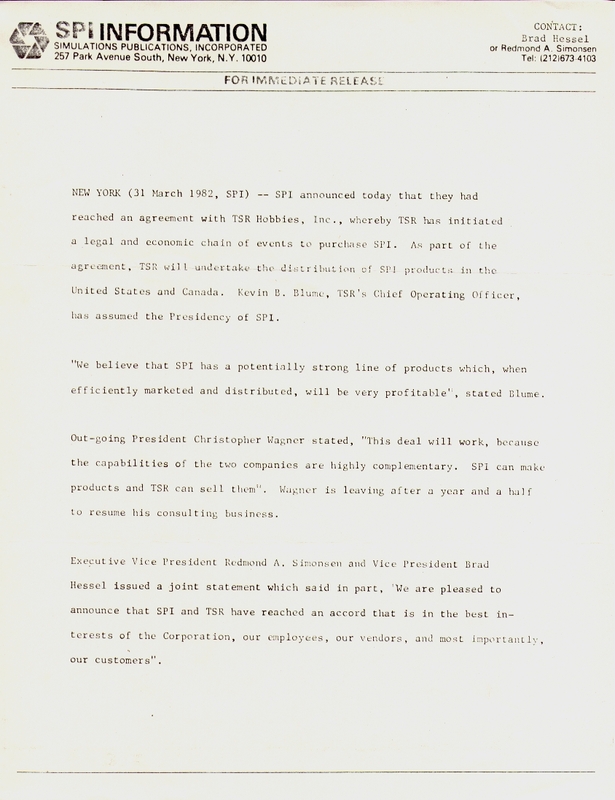 The infamous press release announcing the "sale" of SPI to TSR. Dated March 31, 1982. 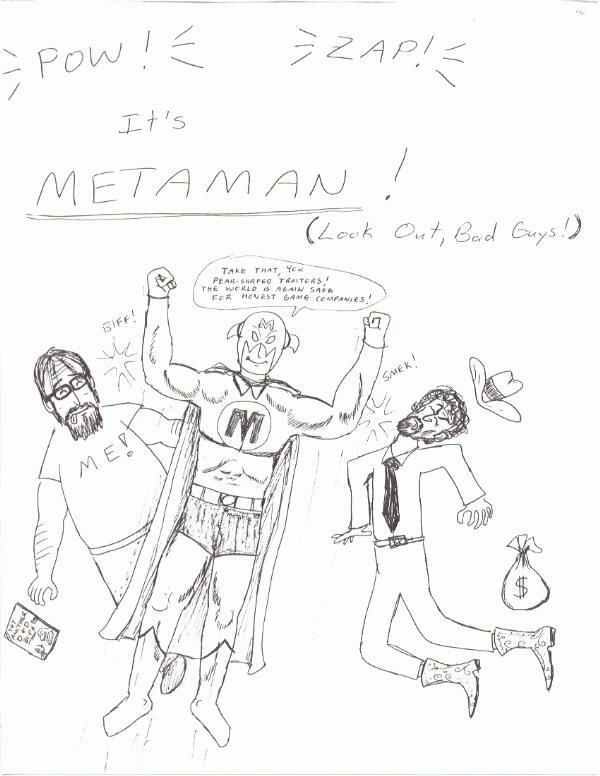 A collection of items acquired from a former Metagaming employee in 1999. WOW! 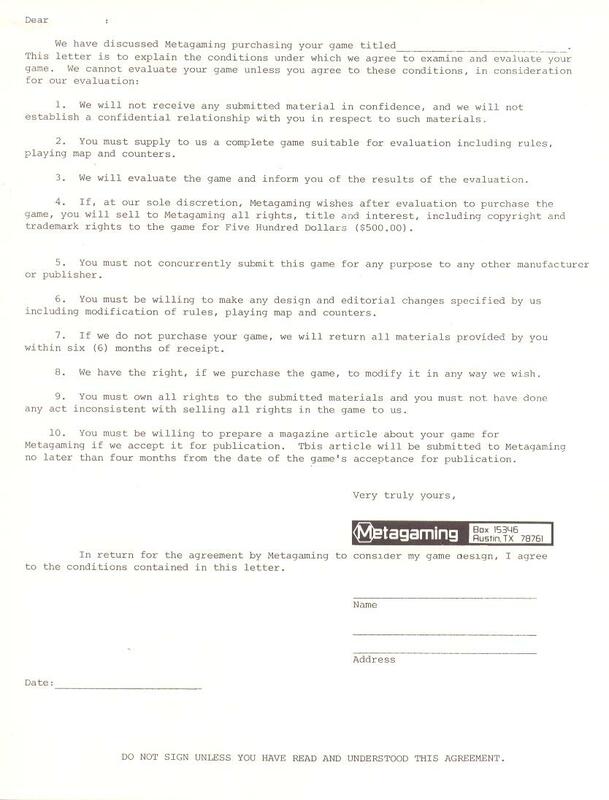 A detailed report on the status of pending Metagaming games. 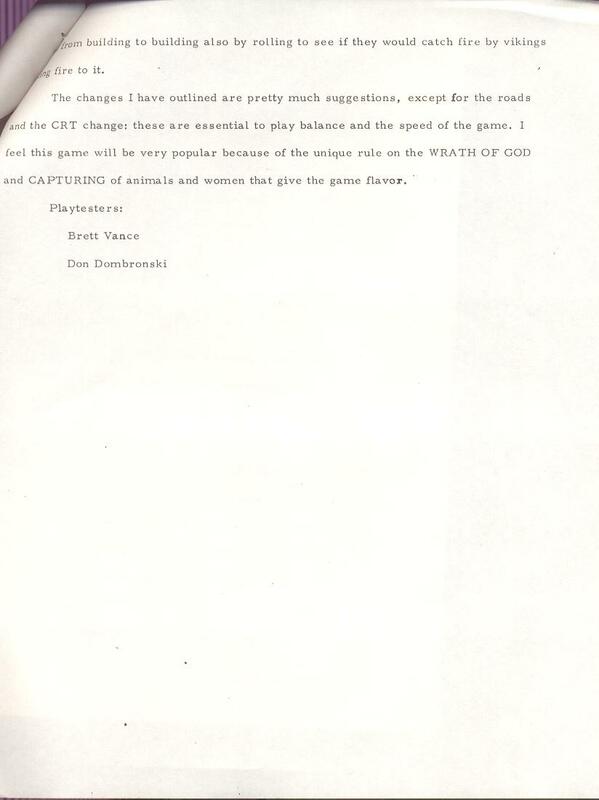 Many unreleased games are mentioned. 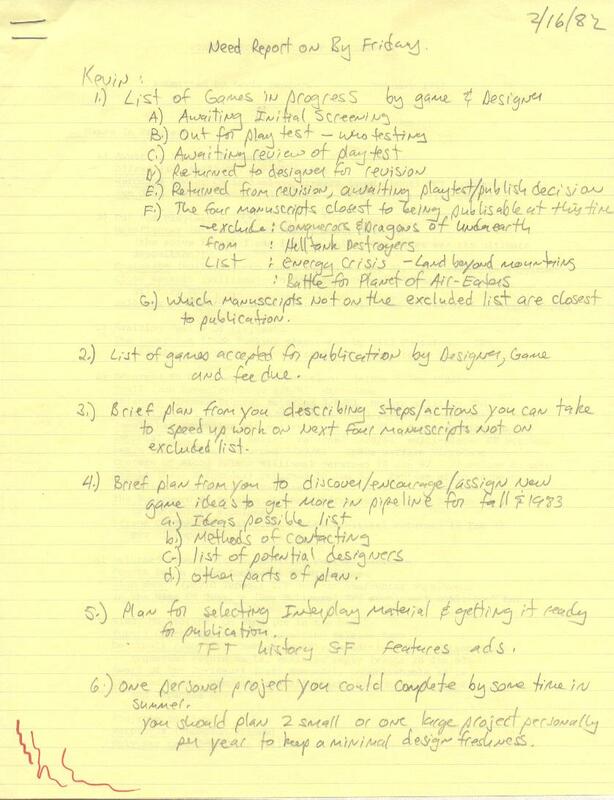 Plus: the secret Metagaming plan to clone game designer Keith Gross! Dated February 1982. Promotional items related to the Treasure of the Unicorn Gold contest. 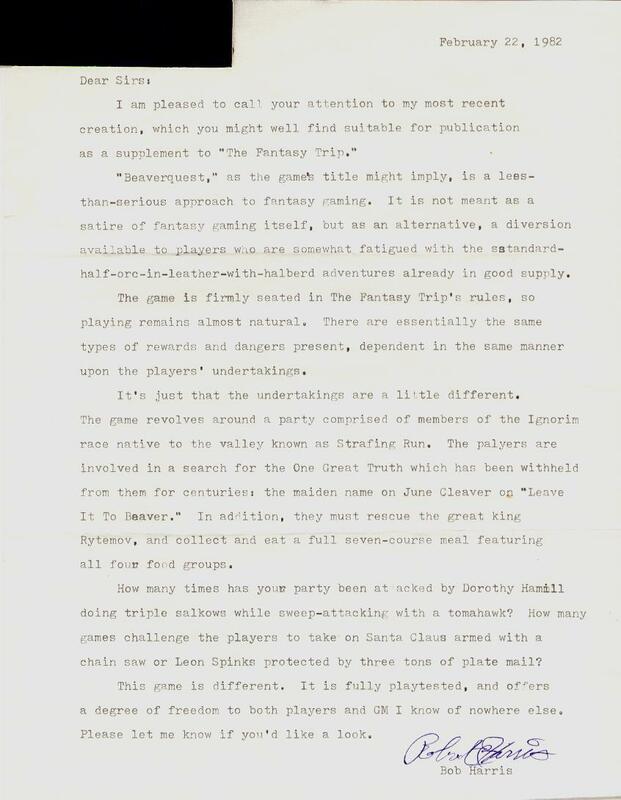 Yes, you've been searching high and low for this Fantasy Trip newsletter in hopes of collecting every last bit of TFT info. Don't bother! 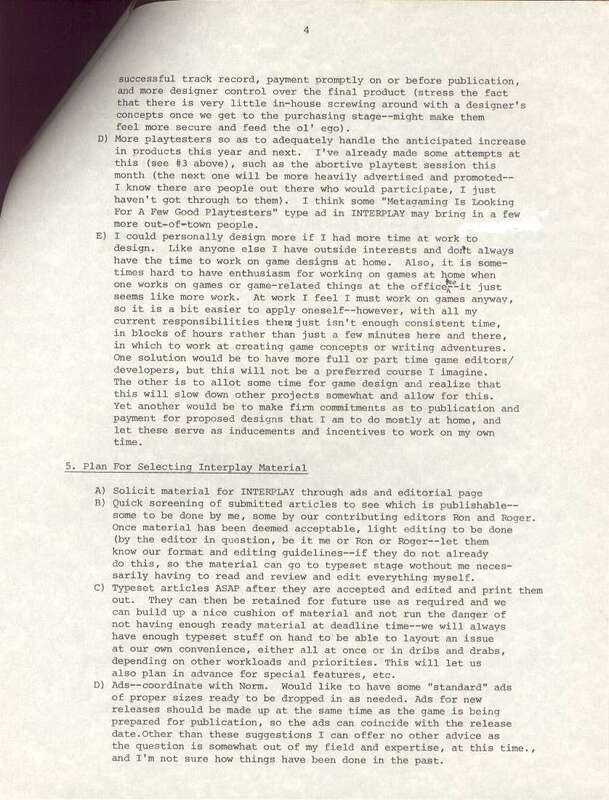 All you'll find is a lot of organizational drivel that might be remotely interesting to the most die hard collector. No gaming value. You have been warned! 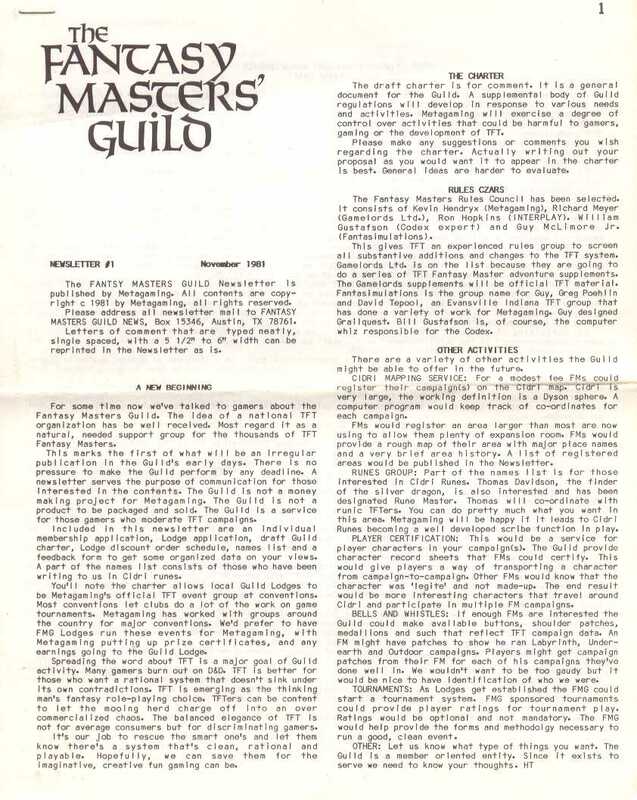 Newsletter #1 is dated November 1981. 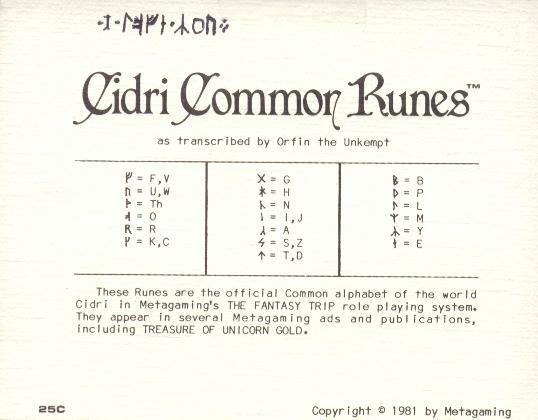 A card listing the Cidri Runes and the letters they stand for. 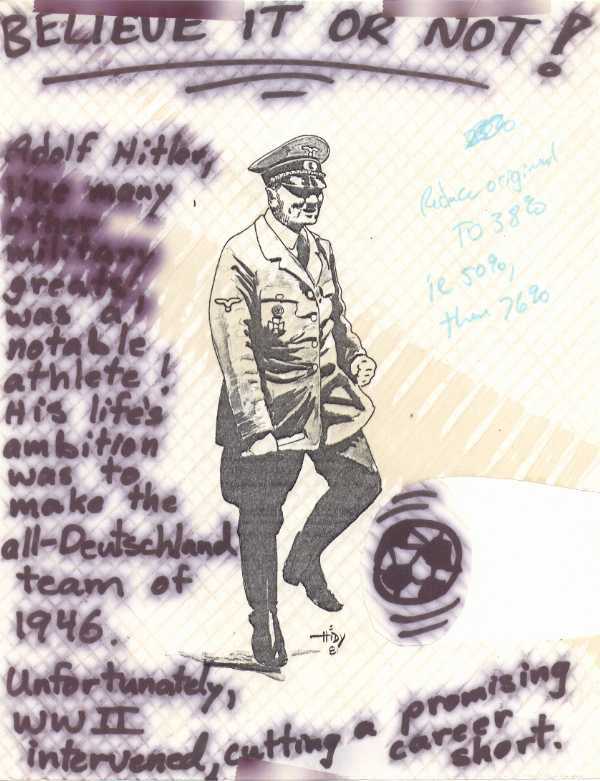 Dated 1981. 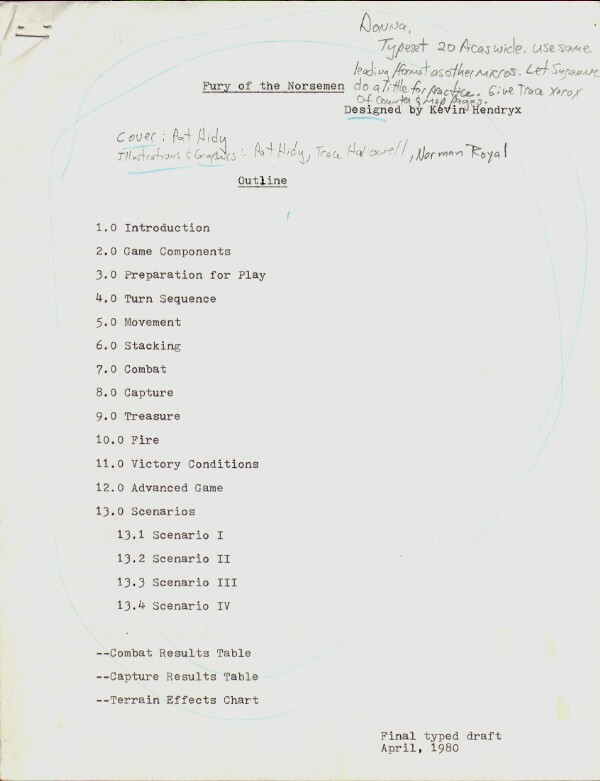 An outline of the Metagaming development process. 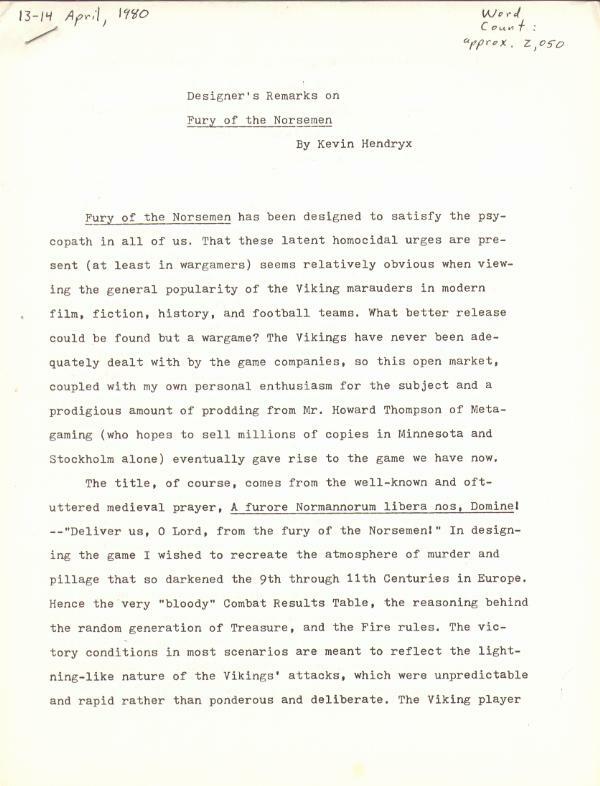 Dated March 1, 1980. 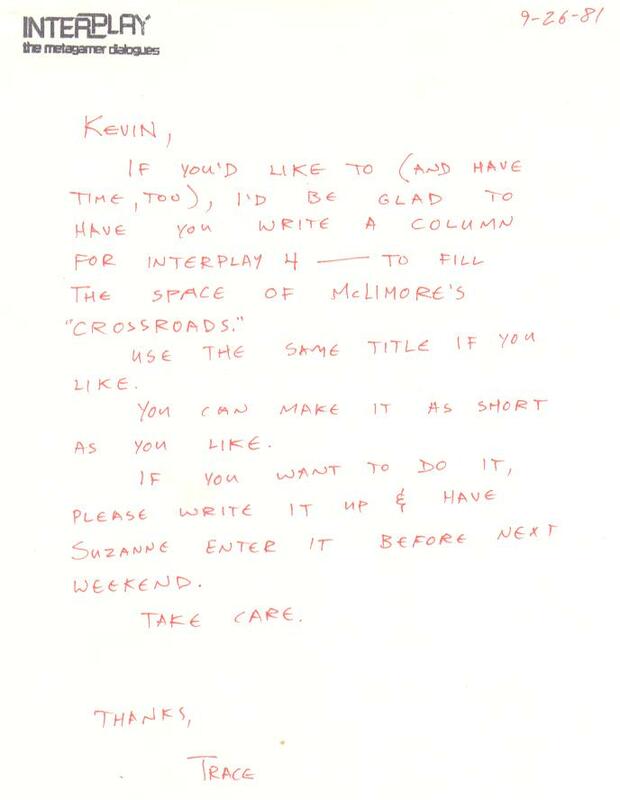 Memo from Interplay editor Trace Hallowell. 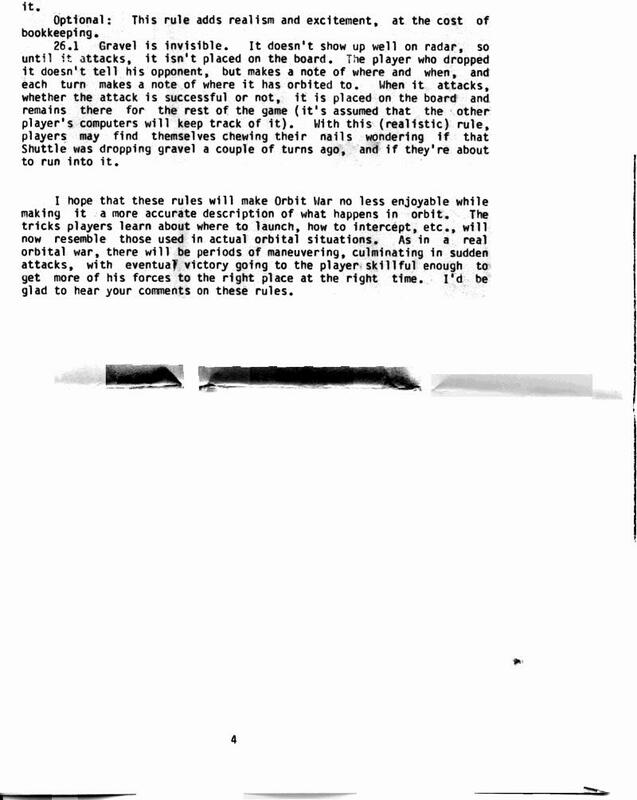 Dated September 26, 1981. 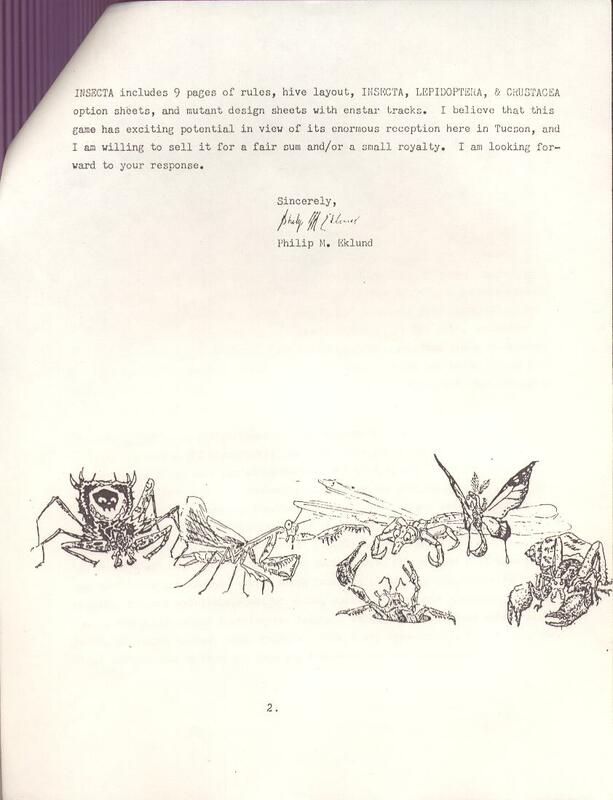 A game submission letter for Insecta written by designer Philip Eklund. 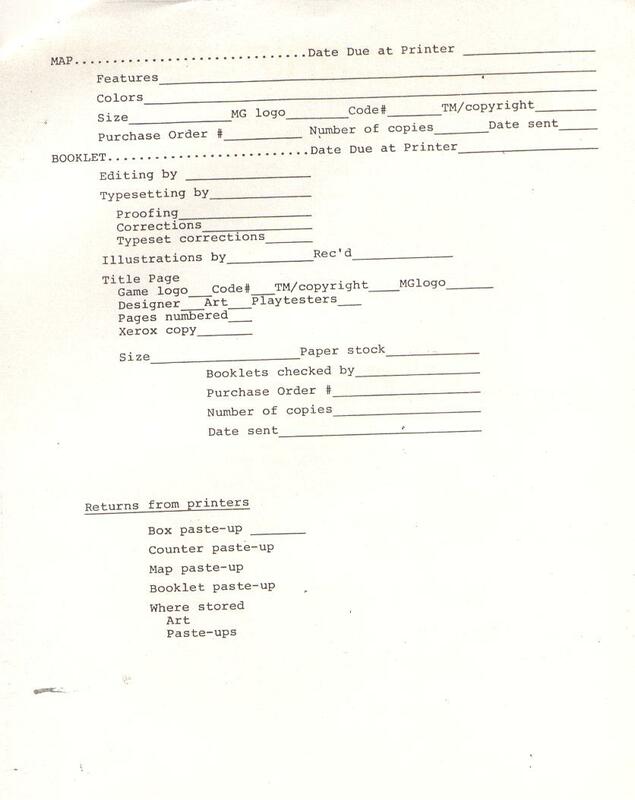 Includes some illustrations on page two. Dated February 5, 1982. 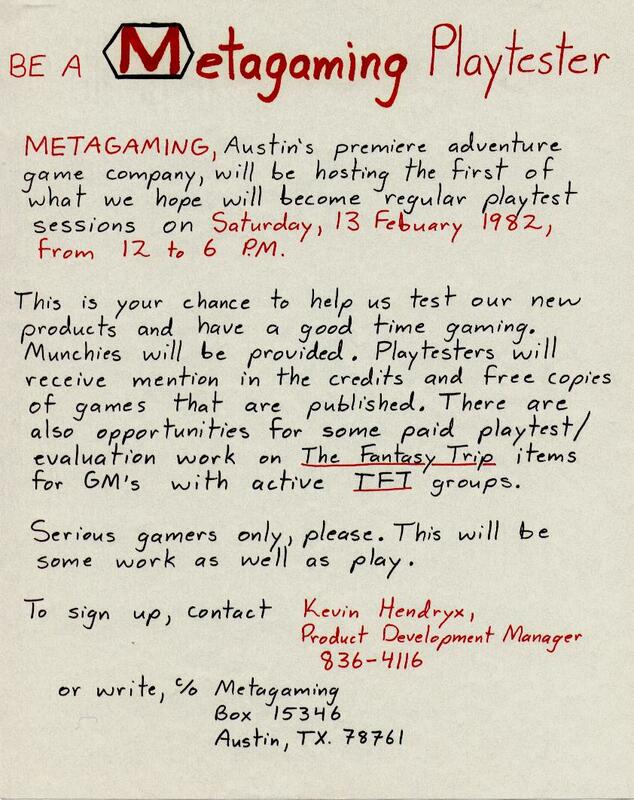 Handwritten notice soliciting playtesters. Dated February 1982. 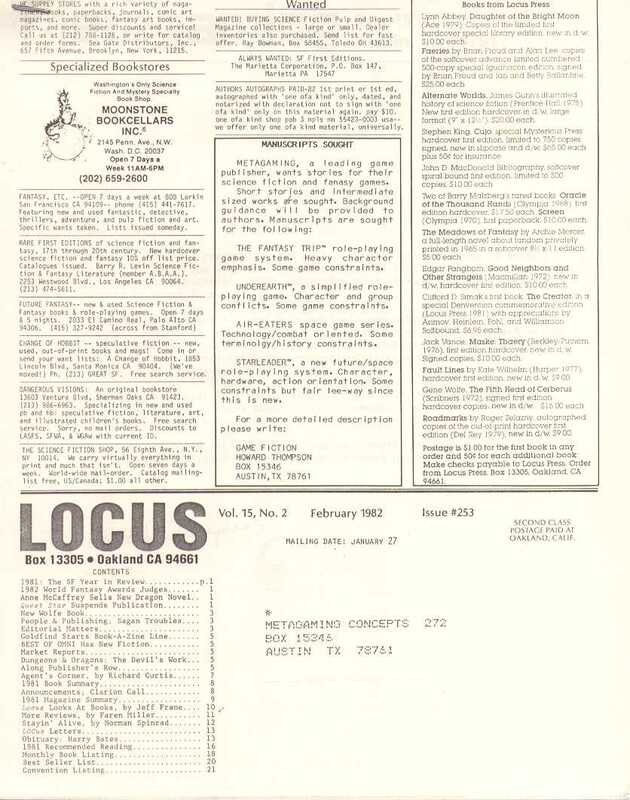 A form response sent to authors who responded to a Locus advertisement soliciting game related fiction. Dated February 1982. 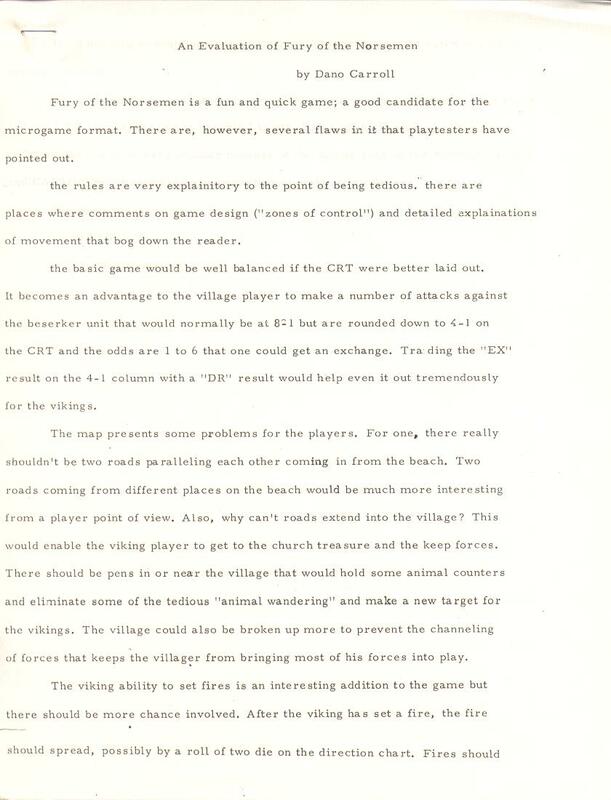 Internal proposal for TFT supplement covering outdoor/wilderness adventuring. 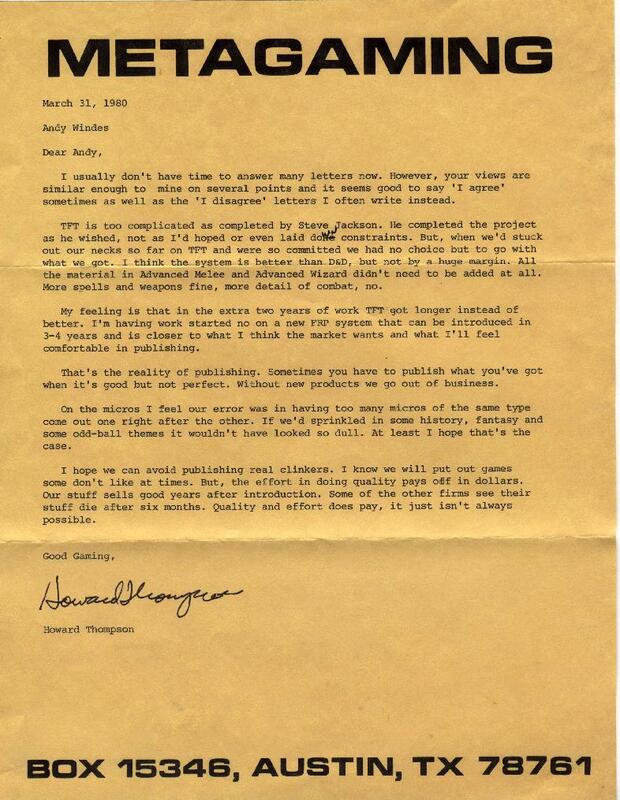 Dated March 16, 1982. 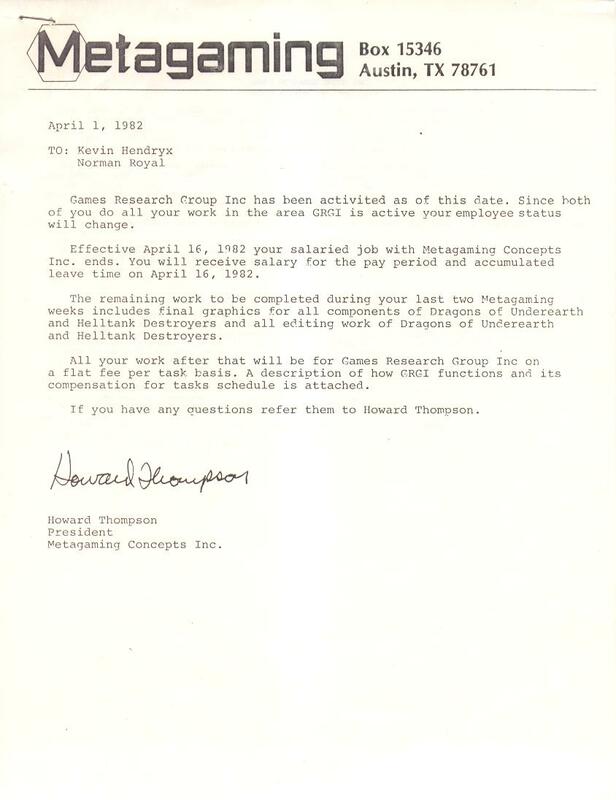 A letter to Metagaming employees Kevin Hendryx and Normal Royal informing them that their salaried jobs would end in two weeks and they thereafter would be working on a "flat fee per task basis" for Games Research Group. 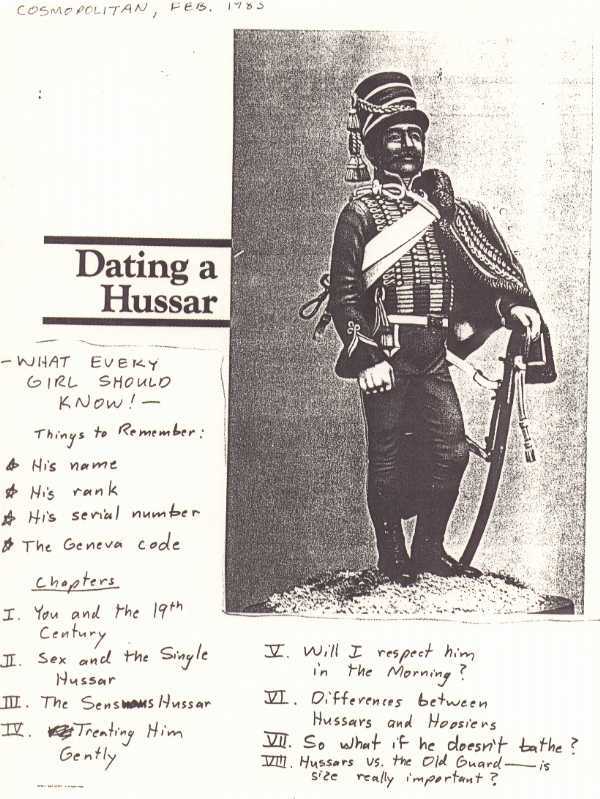 Ironically dated April 1, 1982. 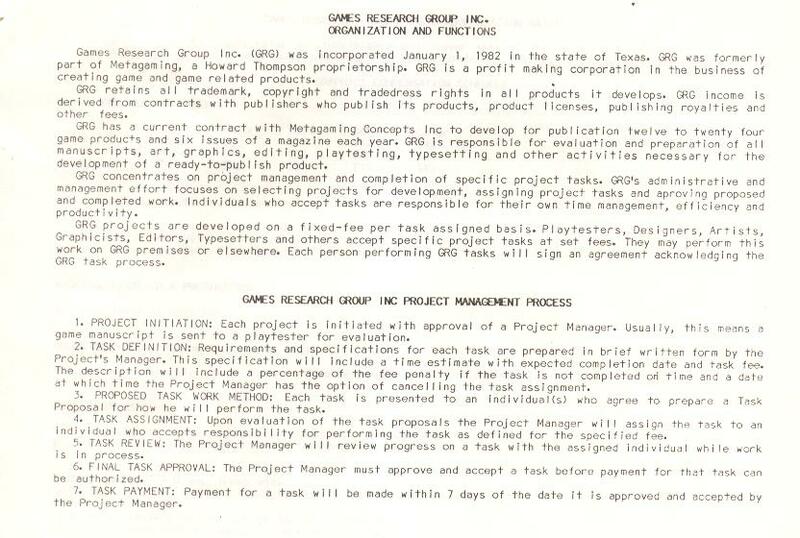 The second page describes Games Research Group. 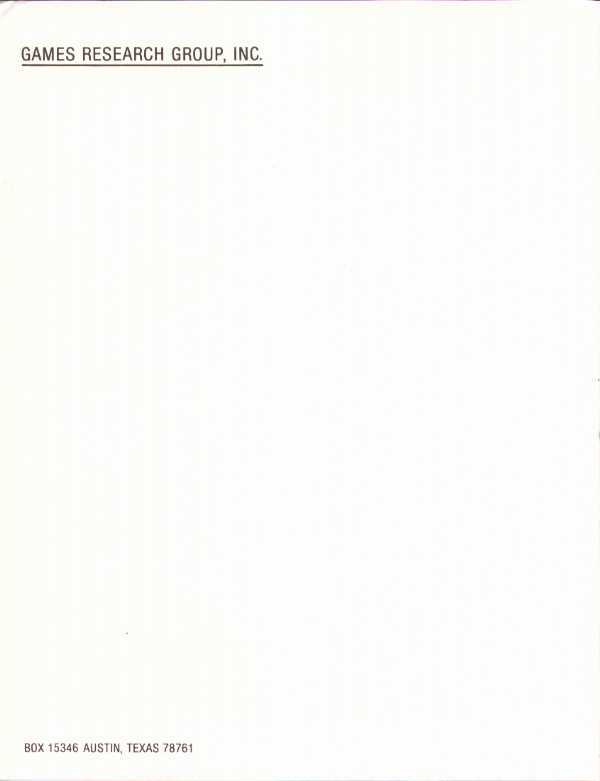 Ok, it's just blank stationery. They all can't be exciting! 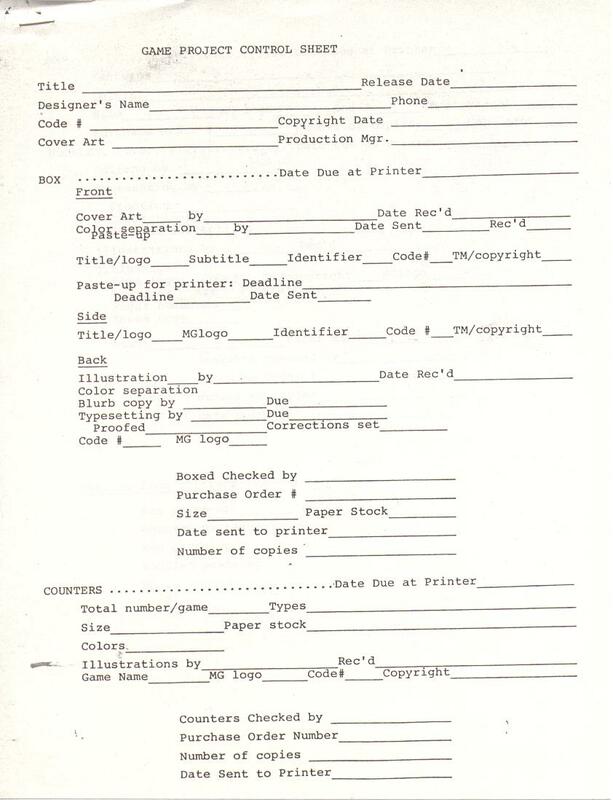 A form for tracking a game through the production process. 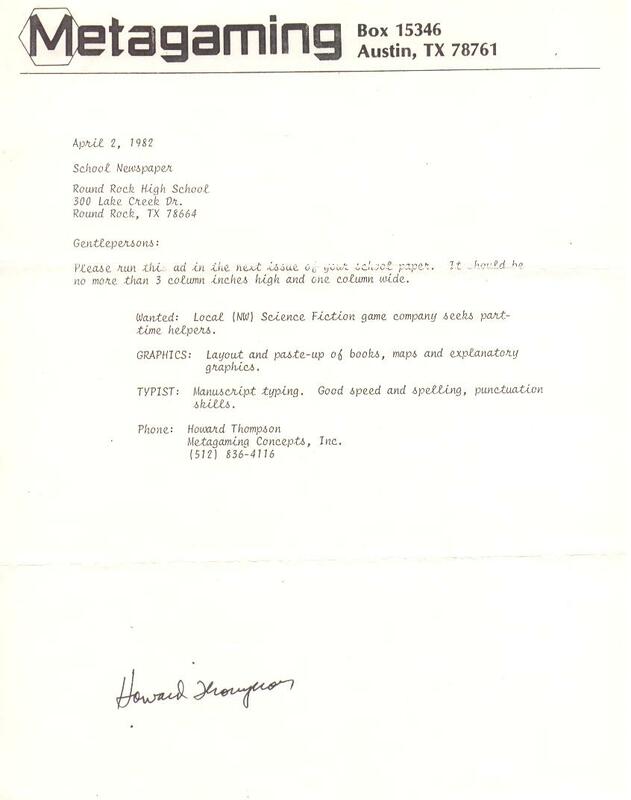 This appears to be a standard form contract for game evaluations. Attack of the Sun Creatures gets raked over the coals. What? You've never heard of Attack of the Sun Creatures? Now you know why. 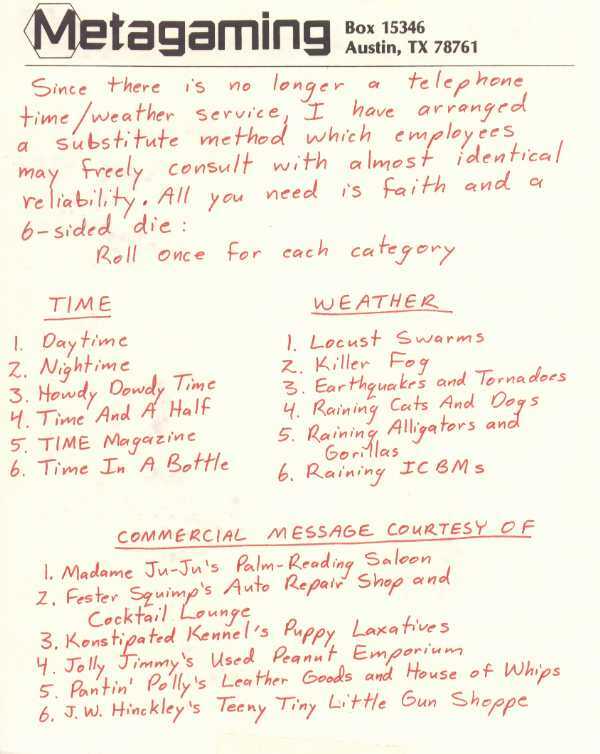 Dated February 1980. 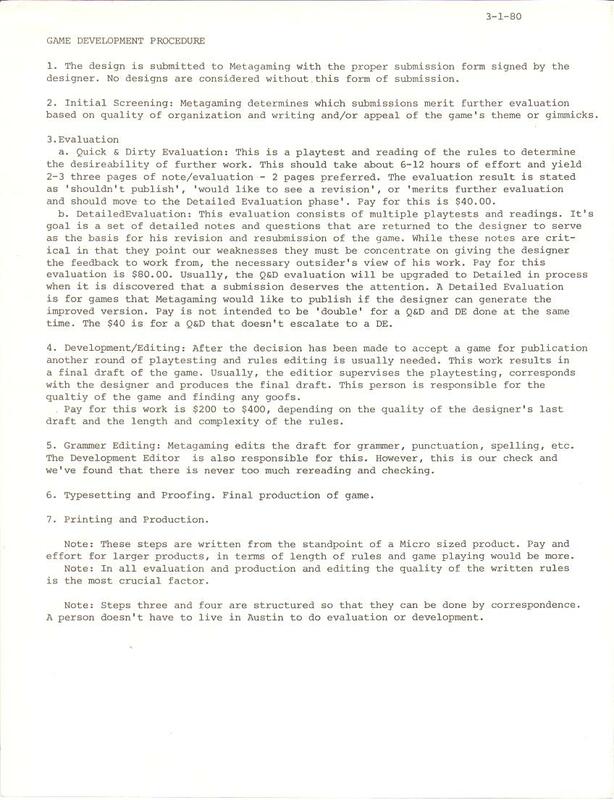 A draft of the designer's proposal letter to Steve Jackson Games. 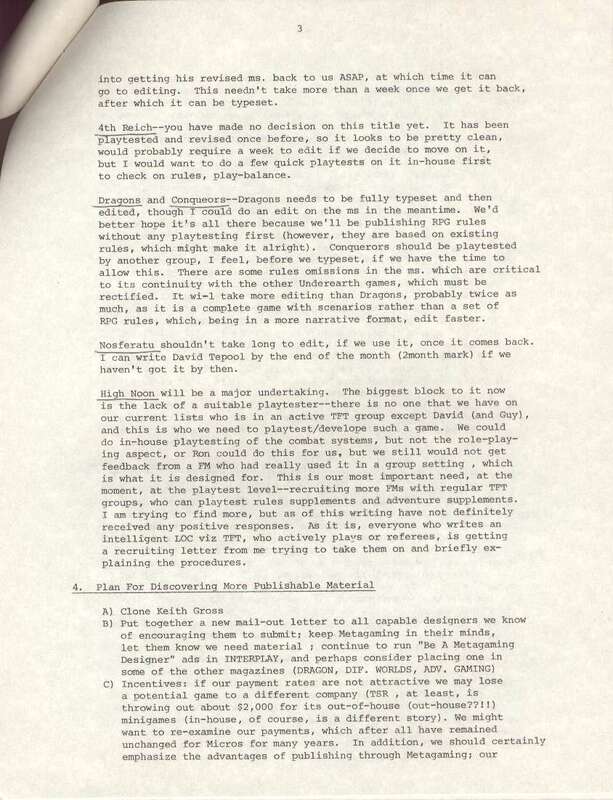 Dated June 11, 1983. 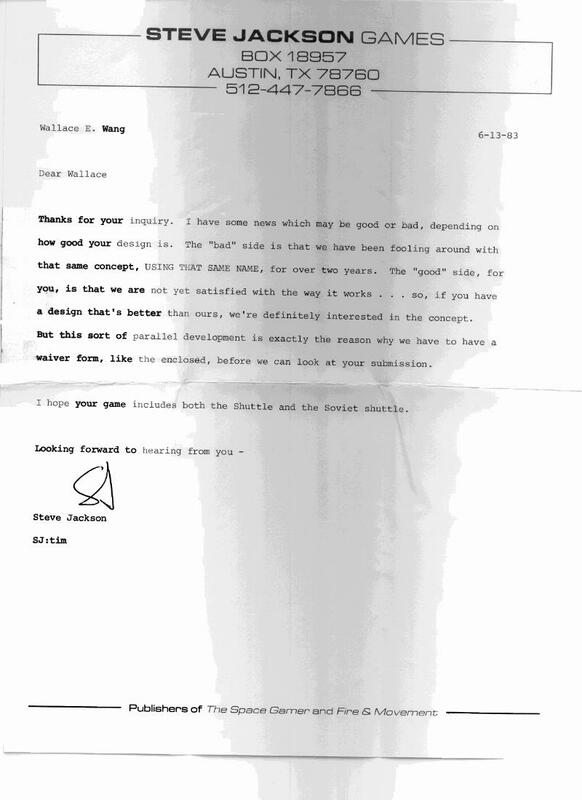 Steve Jackson's reply to the designer's proposal letter. 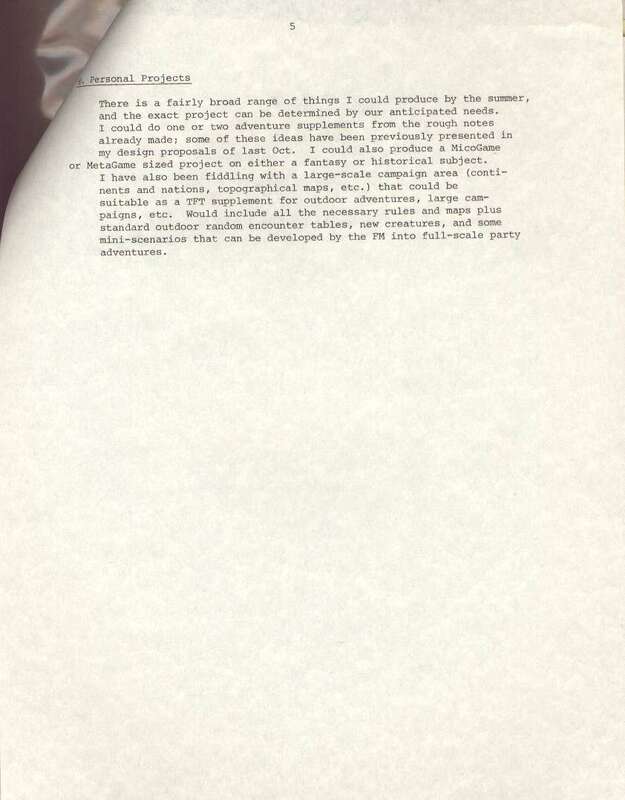 Dated June 13, 1983. 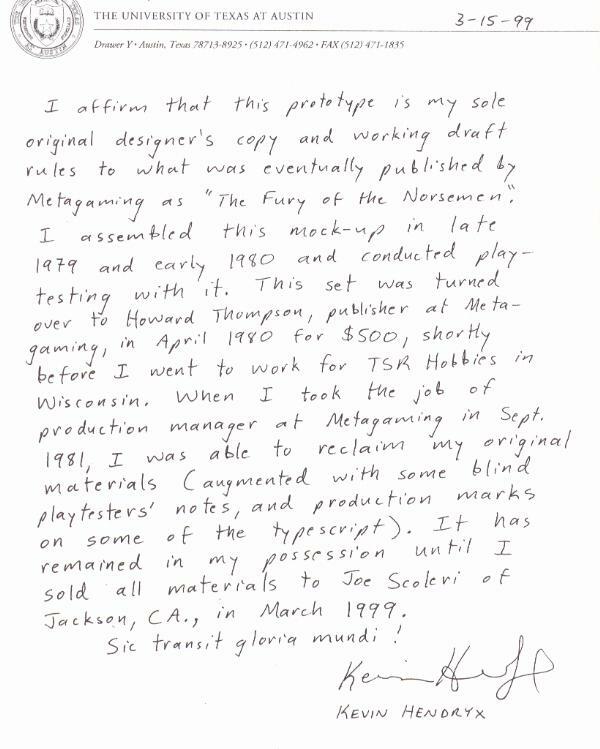 Steve Jackson Games form letter which accompanied the previous document. 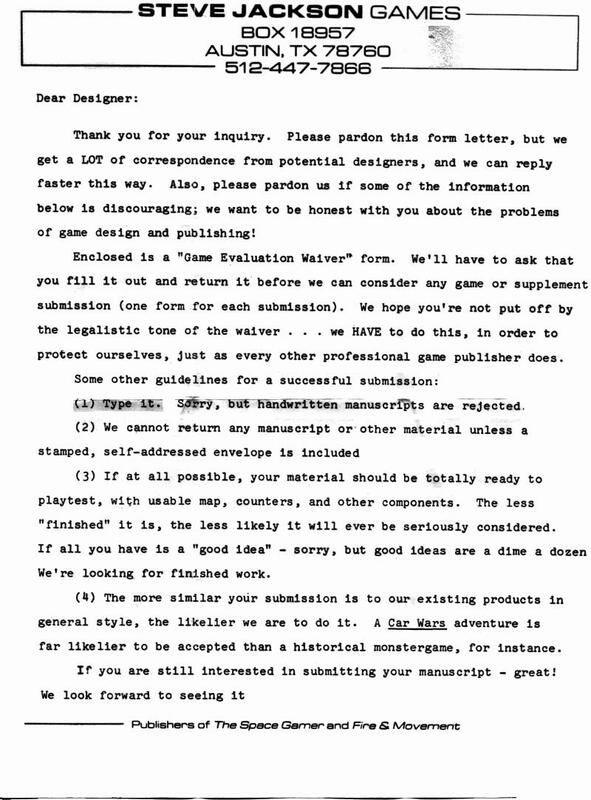 Letter accepting Orbit War for publication (received by the designer on his birthday!) 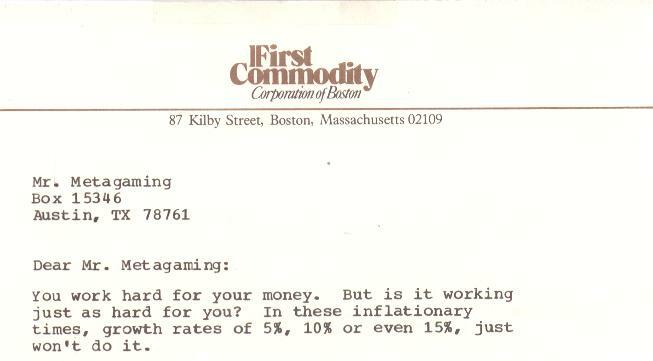 Dated September 19, 1983. 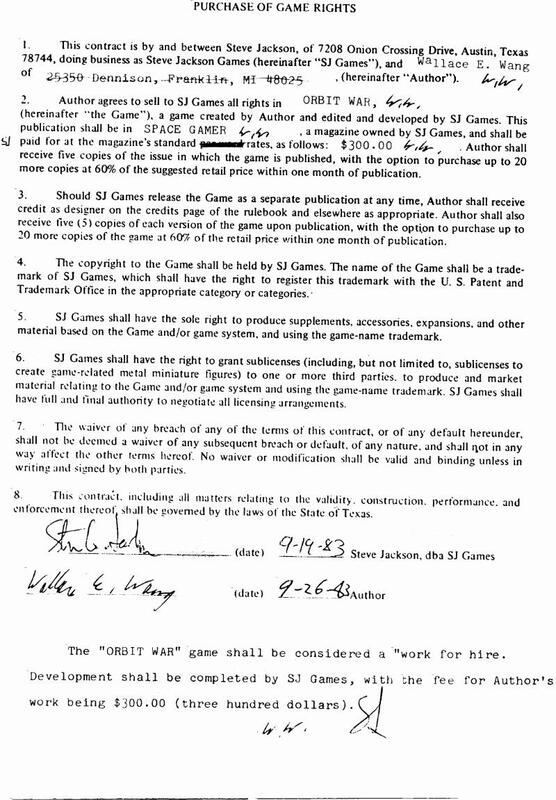 The designer's copy of the contract for the purchase of Orbit War. 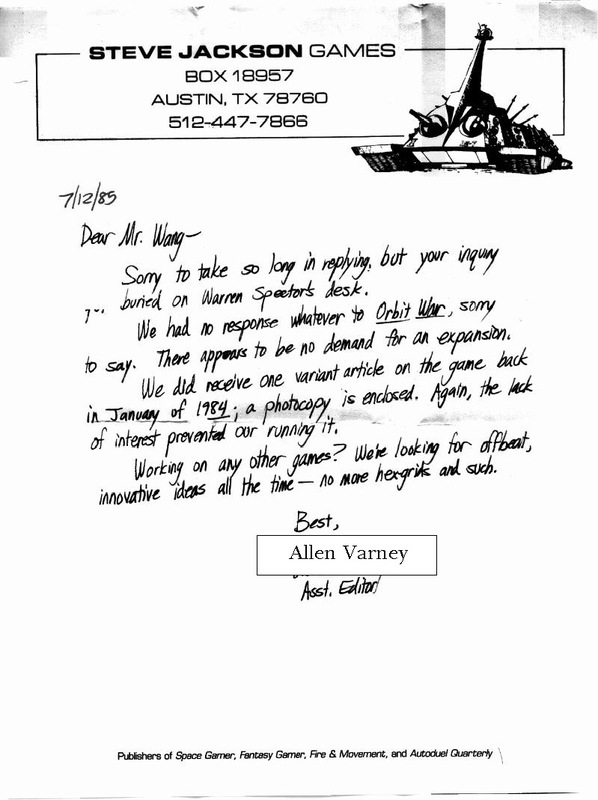 Allen Varney responds to the designer's inquiry regarding an Orbit War expansion. 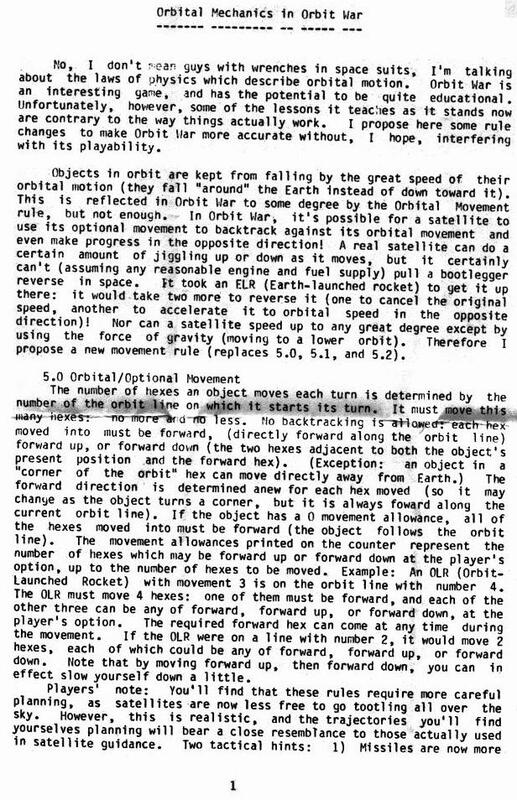 Dated July 12, 1985. 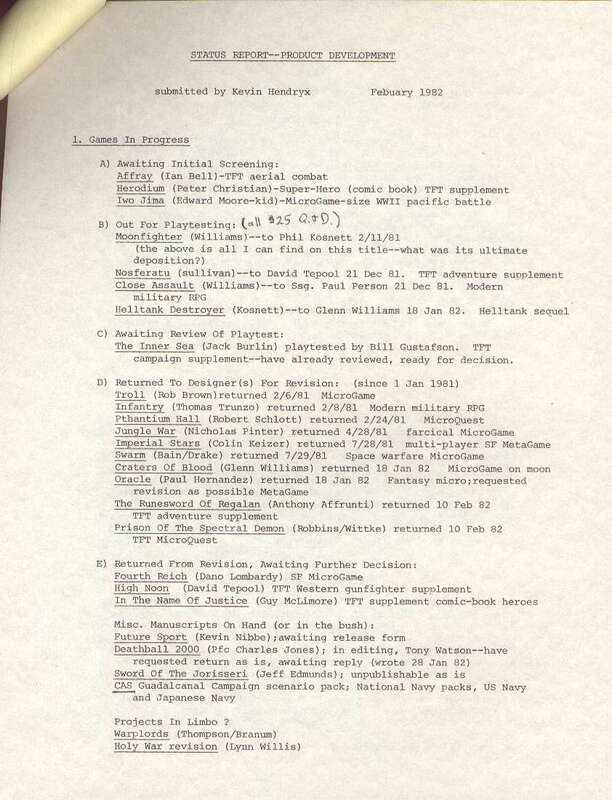 An unpublished Orbit War variant article. 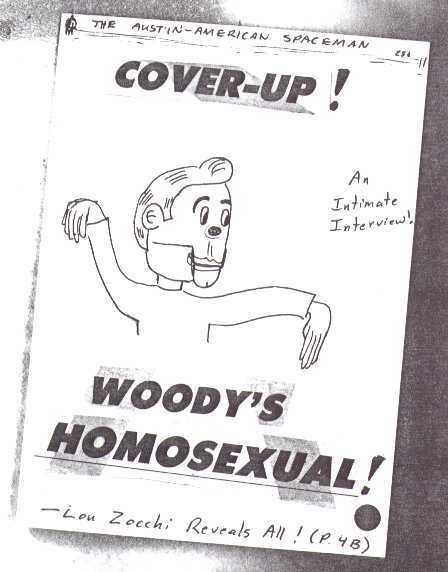 Believed to have been authored by Phil Rennert. 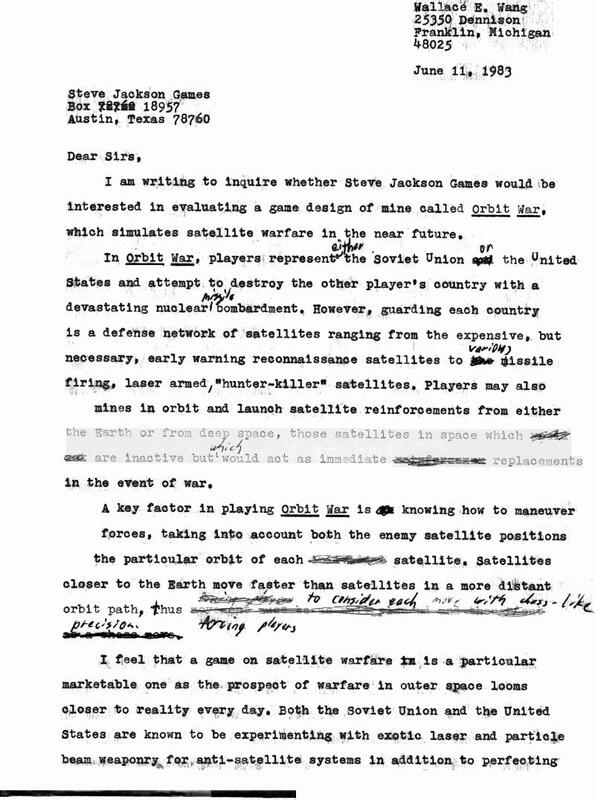 The designer's comments on Orbit War, wargaming, and his work as a stand-up comedian. 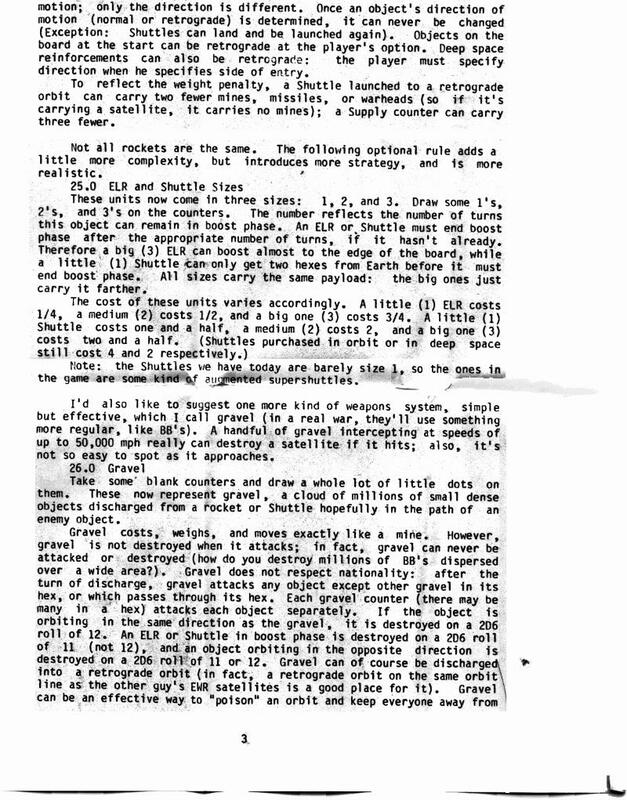 These scans are from the original prototype assembled by designer Kevin Hendryx (KevinHendryx@mail.utexas.edu) in 1979-1980. 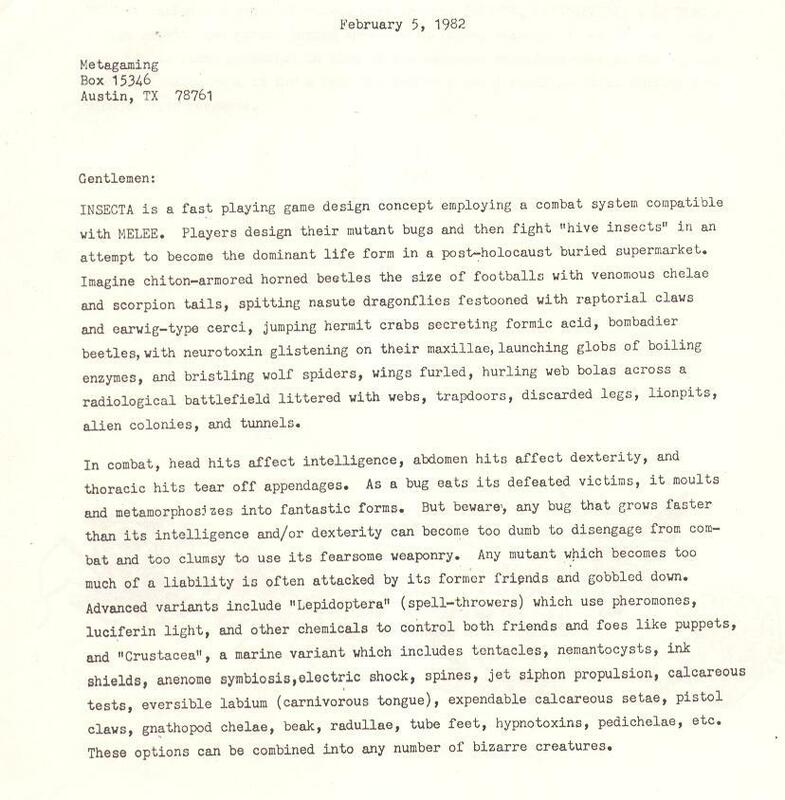 A letter from the designer describing the prototype and confirming its authenticity. 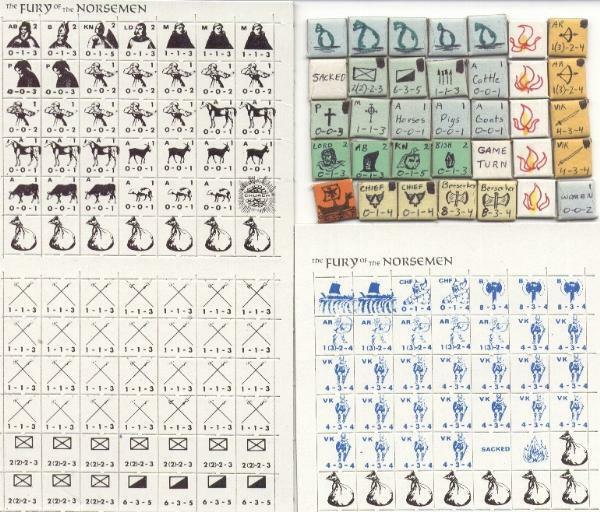 The designer's prototype of the game was stored in an SPI style flat tray. 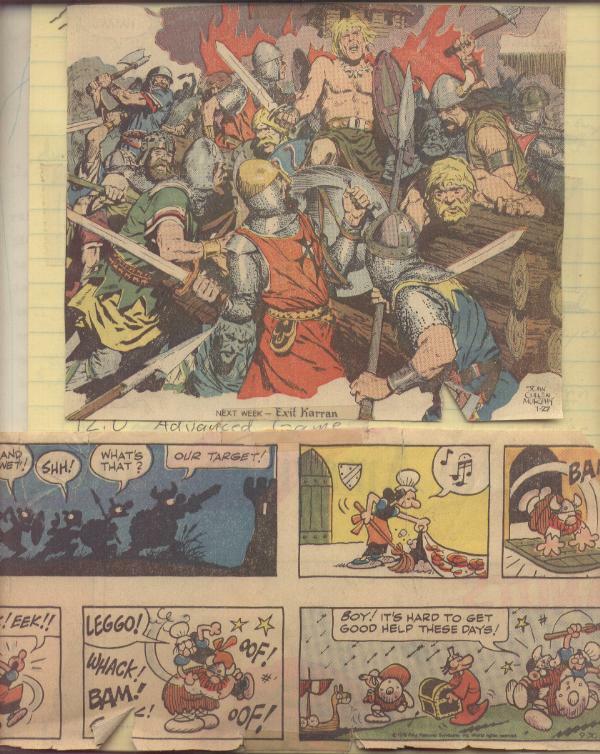 This scan shows a portion of the viking comic strips affixed to the clear plastic cover. 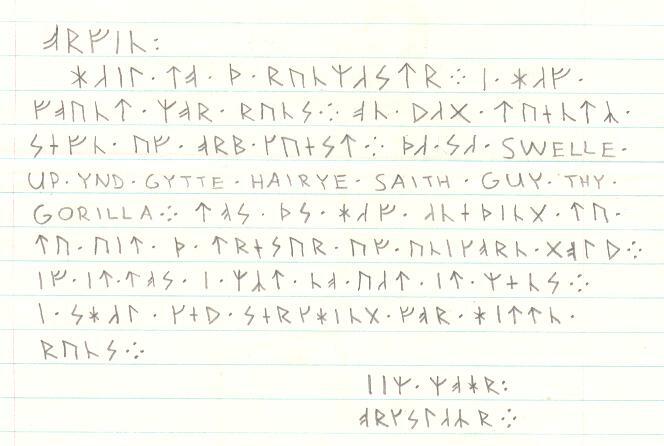 There's some inspriation for you! 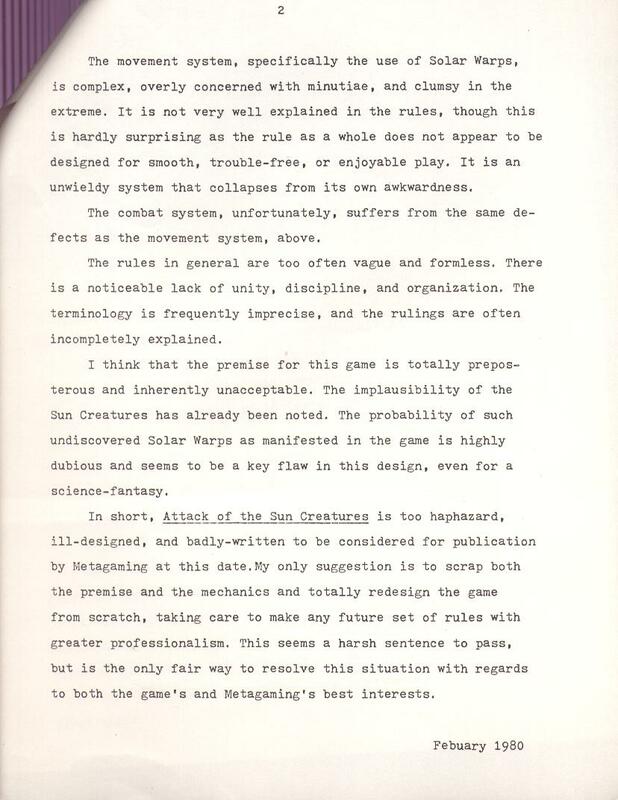 The final longhand rules draft, front page. 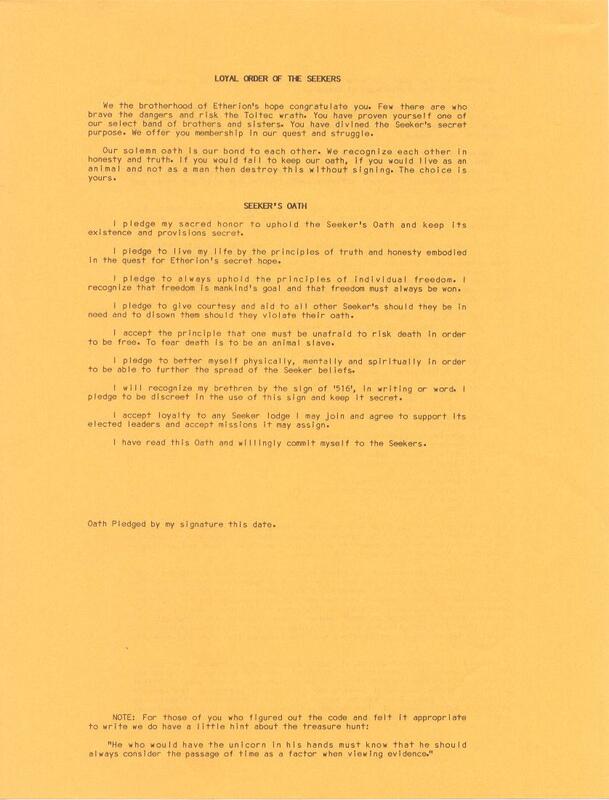 Dated April 1980. 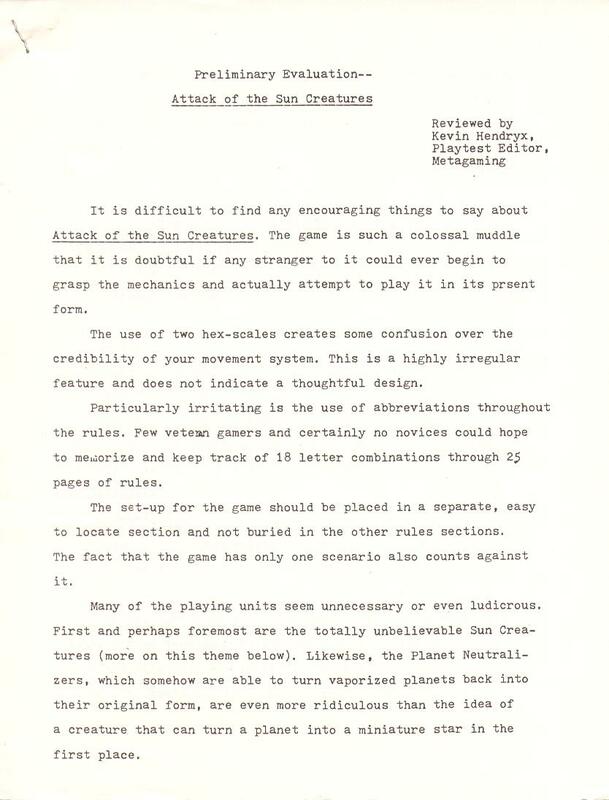 The final typed rules draft, front page. 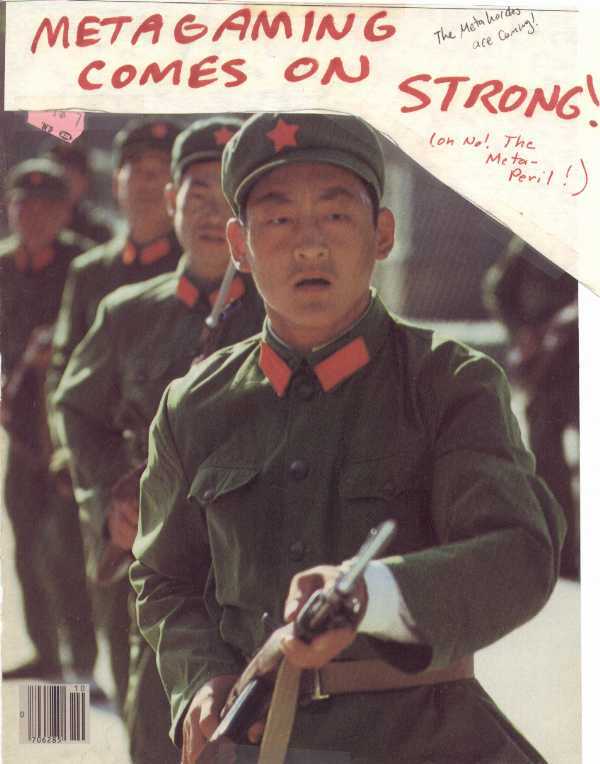 Dated April 1980. 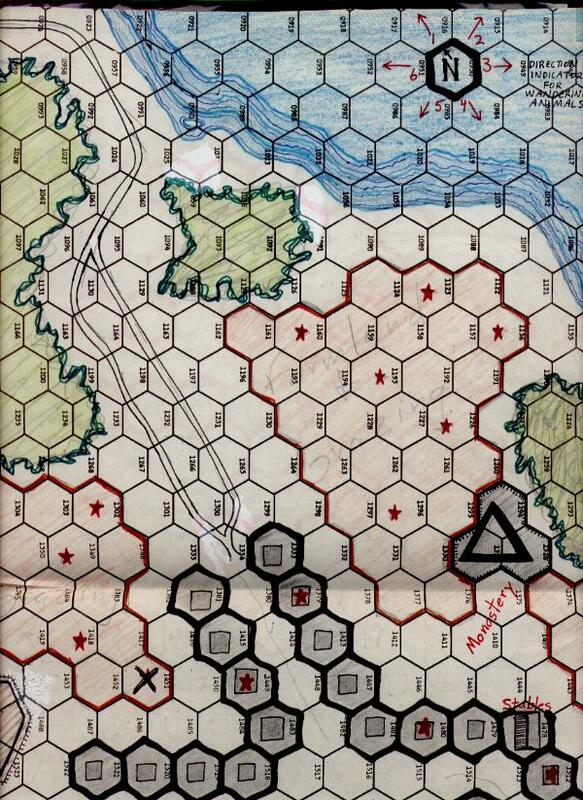 A portion of the original hand drawn and hand colored mapsheet. Some of the designer's handmade counters. 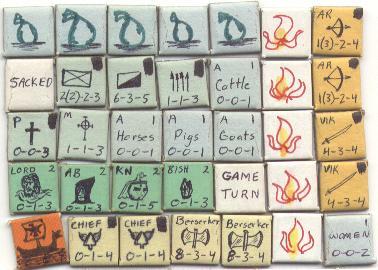 A side-by-side comparison of the designer's counters and the final production counters. 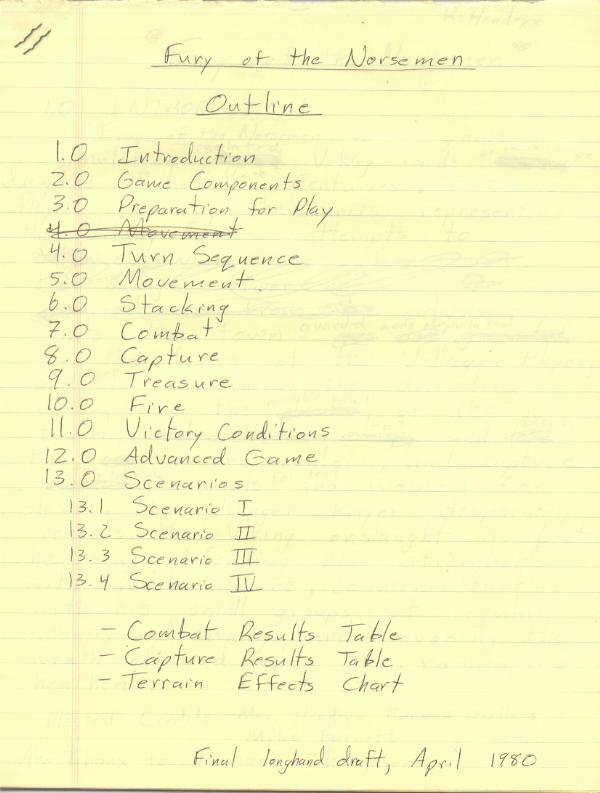 Playtester Dano Carroll's notes on the game. 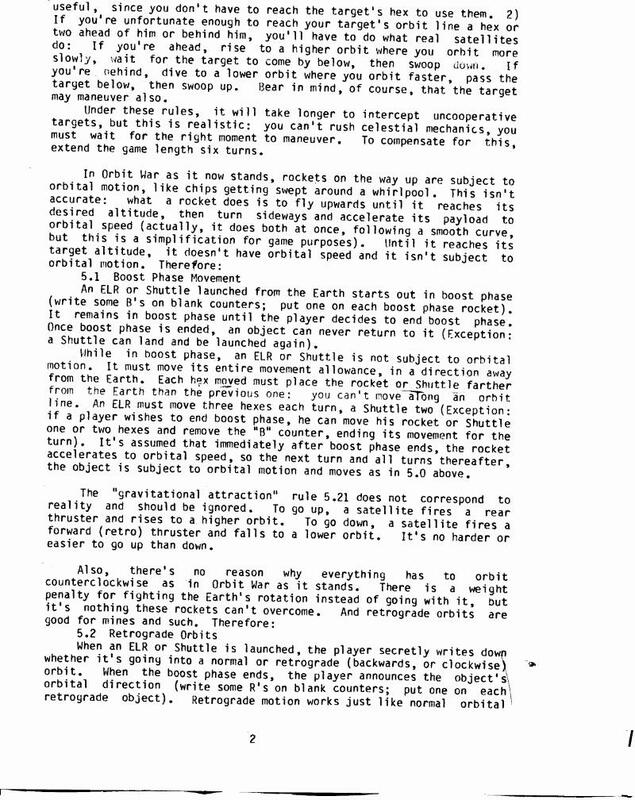 Front page of an article later published in Interplay issue 5. 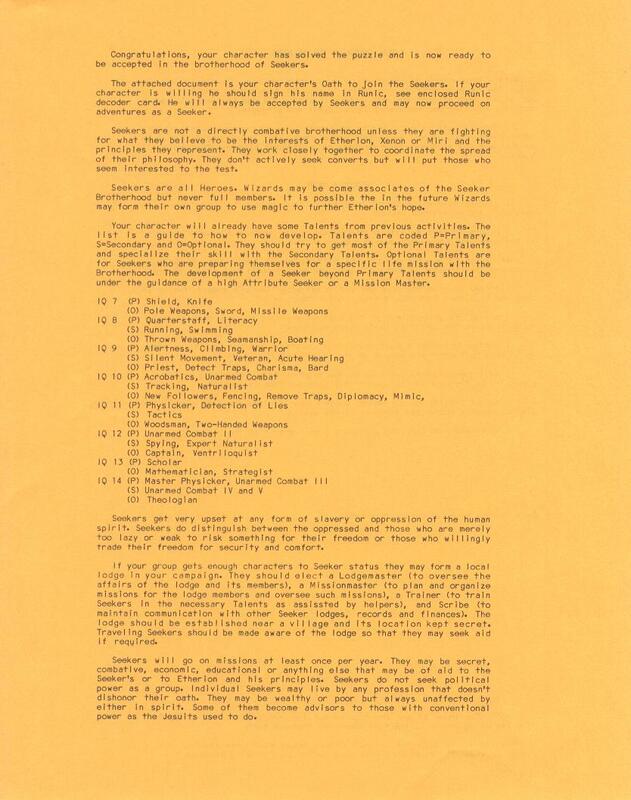 Dated April 13-14, 1980. 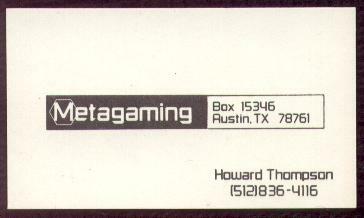 Return to the Microgame HQ main page.